An infamously quick-fire dj, as well as one of the most hotly tipped producers to date, Frankee is returning yet again with a single to further solidify his position. Whether it's from a set played on the notorious Ibiza waterfront, or amongst a packed out, dimly lit stage in super club Fabric, you'll instantly recognise these refined cuts premiered over the last six months. Detonating a hard lined crowd at Drum & Bass Arena's Easter weekend, Power and Downtown are of two totally different flavours, yet still pull raw energy and emotion from dancefloors globally. Featuring the vocal talents of Simon Franks, 'Downtown' demonstrates an ability to tap into a hugely diverse range of capacities. Fading between carefully textured breaks, as well as a cleverly distorted bass, it spans a hugely intricate composition. Fluctuating note patterns perfectly underpin slowly elevated synths; cutting open and laying bear the producer's depth. 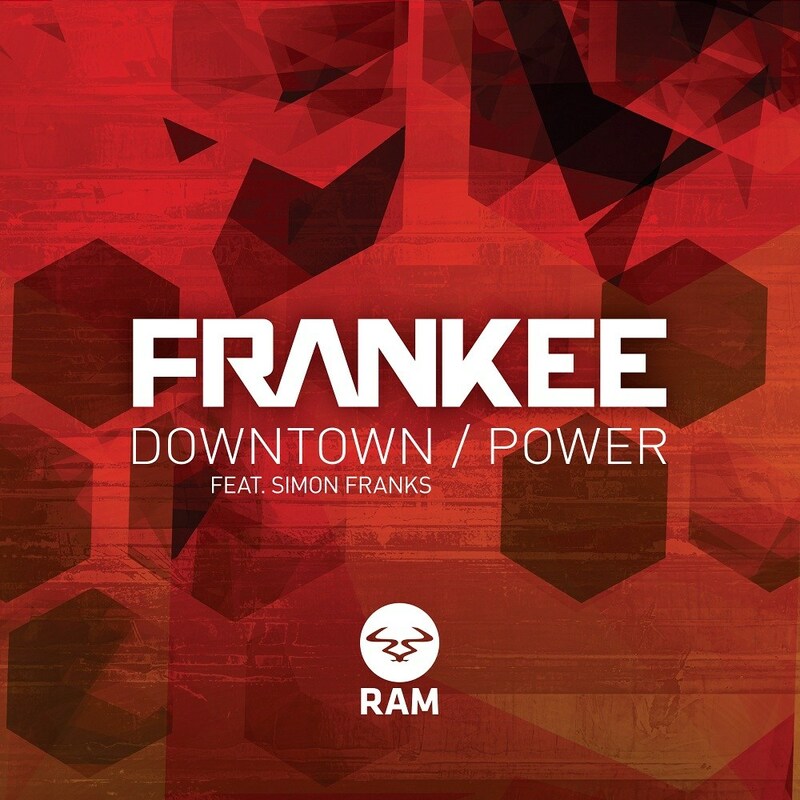 Working his more emotive soundscape 'Downtown' epitomises Frankee's versatility and his multidimensional approach to music making. On the flipside, a much darker standard is set. Winding up before clanking into a maze of snapping hi-hats, reverberating bass and barrages of driving drum loops 'Power' demonstrates the harder style of his production, as seen in previous tracks like 'Snarl' and 'Excalibur'. Brooding, gritty and a perfect 4am grinder, the delivery of this next single presents two opposing tracks that help to exemplify Frankee's vast discography.